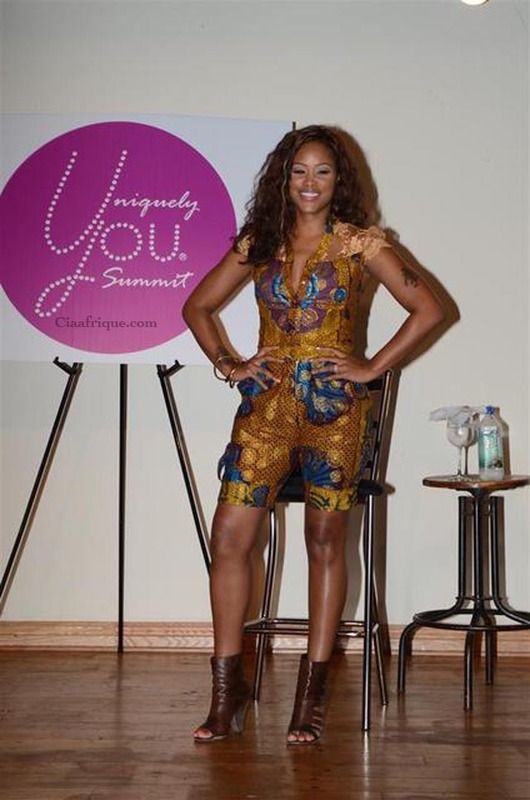 Spotted Rapper Eve in this african print romper. She wore this last week at the African American Museum for The Uniquely You Summit in Philadelphia. I am still not sure you who the designer is yet but will keep you updated. We can officially add her name to Celebs who loves prints. Check out the who else loves wearing African print here. So what you say ? Do you like it ?